We are on our way to Utne. 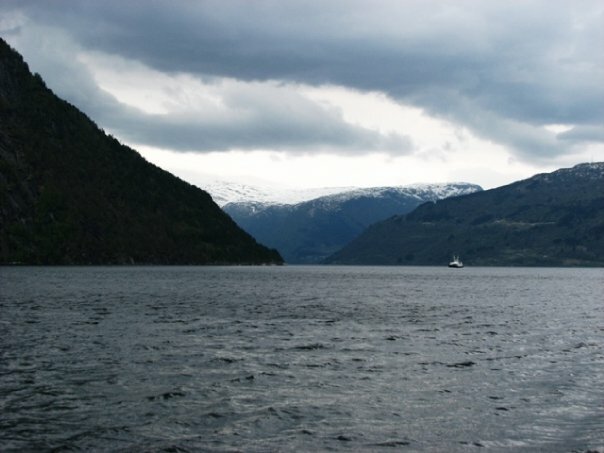 We will need to take the ferry from Kvanndal – Utne. I did find the rates for this Tide ferry. 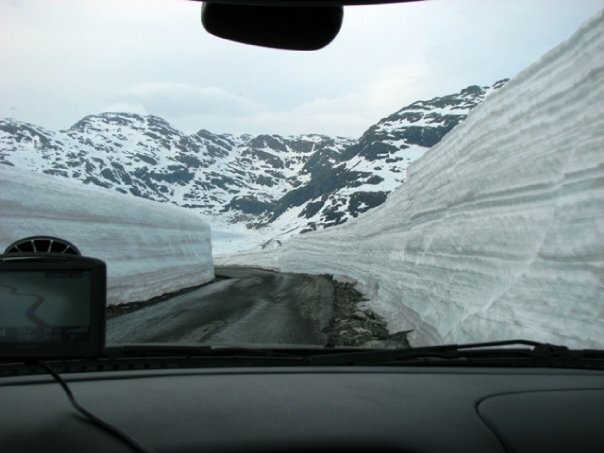 It will be 74 NOK for the car & driver and 28 NOK for each passenger. The ferry runs from 6:00 until 21:00. 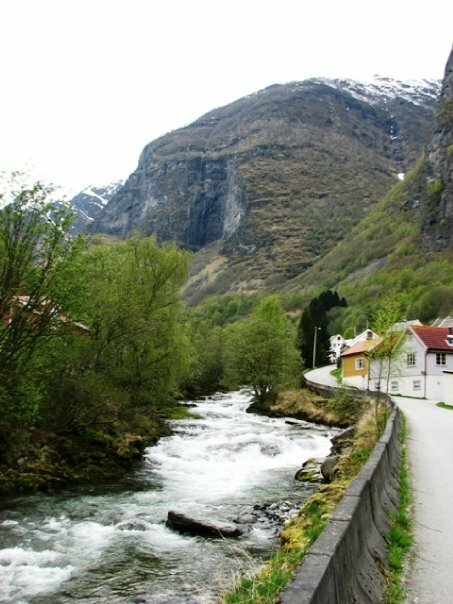 On our way to Utne, we can across the Undredal Kyrkje. 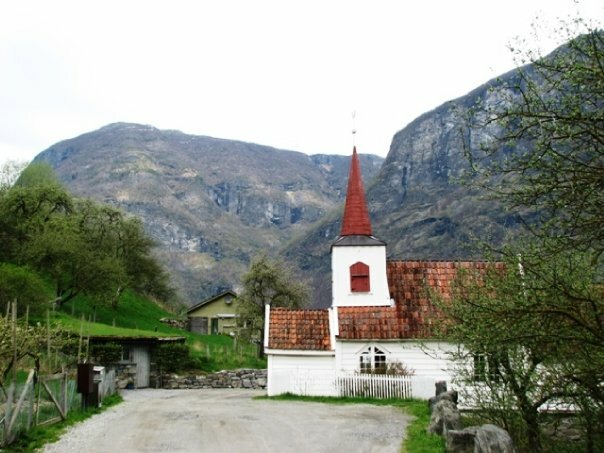 It sits right along side the fjord and is the smallest church in continuous service in Norway. 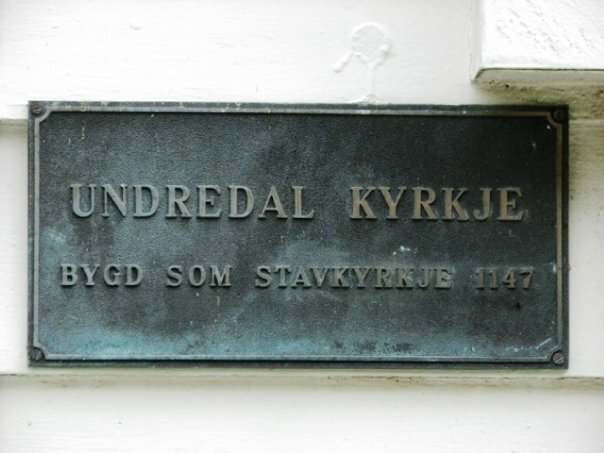 That is REALLY something when you consider that this church was founded in 1147! 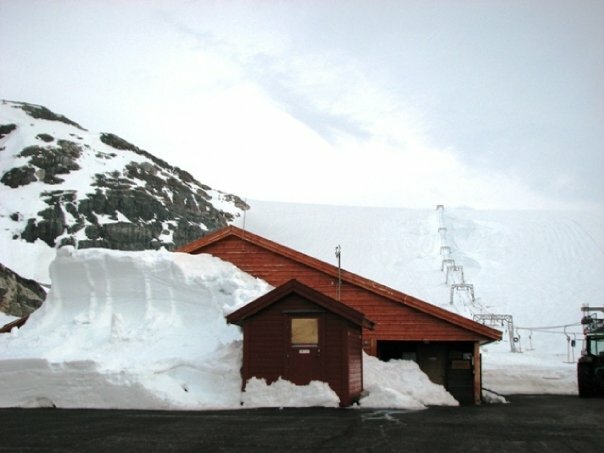 Next stop, the Hardangerjøkulen glacier. 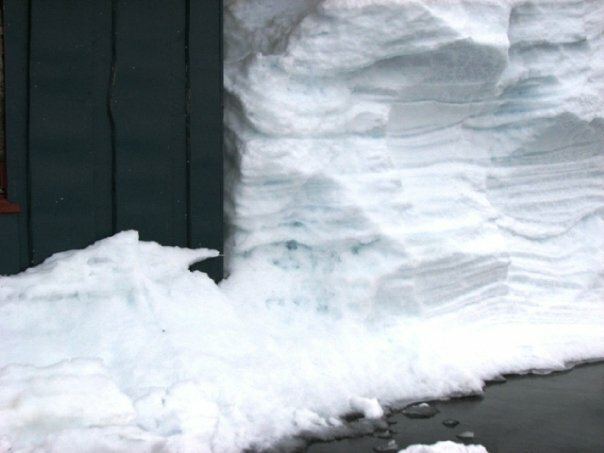 Part of Star Wars "The Empire Strikes Back" was filmed on this glacier in 1979. Blue ice ... not sure if it will show up in the picture or not. Isn't this crazy? 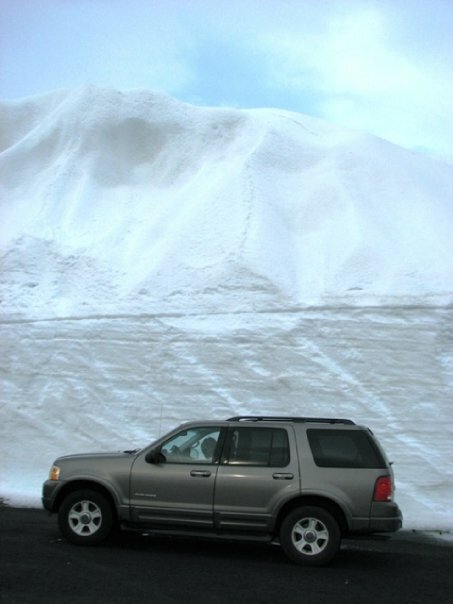 The end of April and look how much snow is still here. 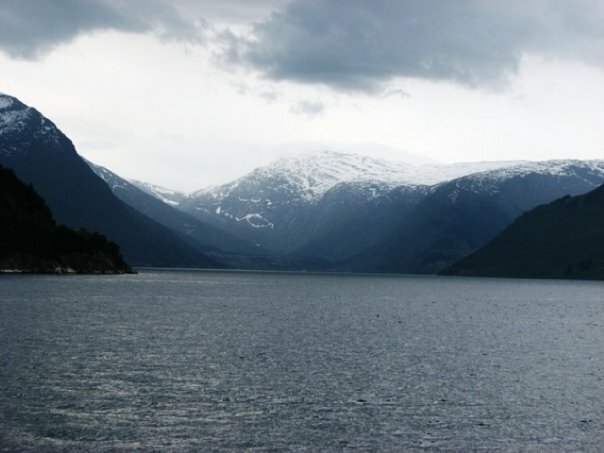 The Hardanger Fjord is also known as the Garden Fjord and it is considered to be one of the most beautiful. 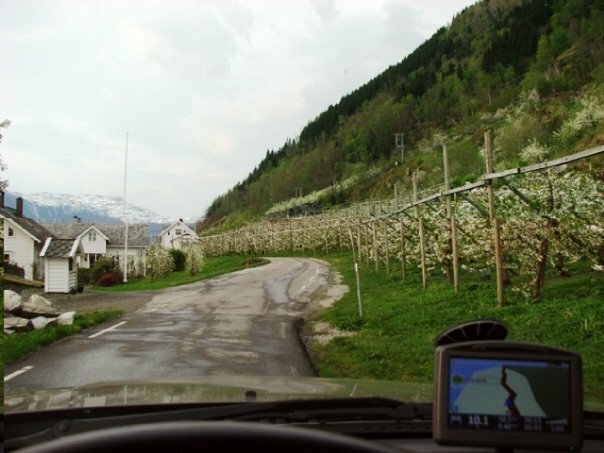 The many terraced fruit orchards cover its banks for 113 miles inland. It is REALLY famous during apple and cherry blossom time, as it turns into a miles and miles long ride just absorbing the blanket of pink and white blooms in the late spring. This is usually when the visitors really flock here. Unfortunately, we were a little early this trip .... but we did make another trip that I plan to talk about. 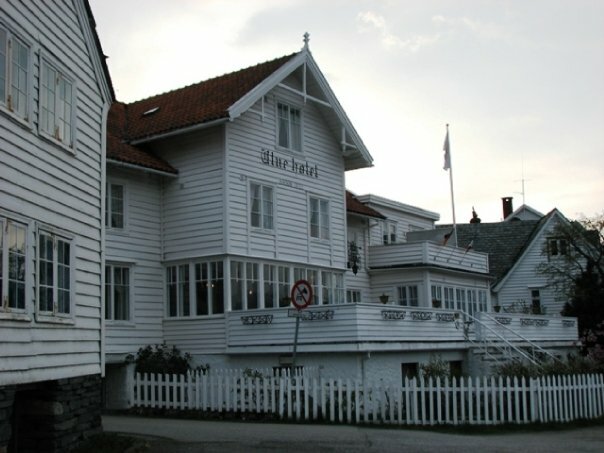 We decided to stay at the Utne Hotel and it is one of Norway's oldest hotels, dating back to 1722. Guests from all over the world have stayed here. It was run by the same family for five generations before it was purchased by a cultural foundation in 1996. It is still decorated as it was back in the 1700's. It was one of our most expensive nights ... but the hotel was listed in "1,000 Places to See Before You Die" so we decided to splurge one night. Once again, we are the only ones in the hotel and when we arrived they told us that the chef had come in just for us, so they hoped that we would be eating dinner there. Of course, we had to say yes. But I think dinner cost us between $300-$400. YIKES!!!!!!!!!!! But it was good ... and we had decided to splurge at this one place. 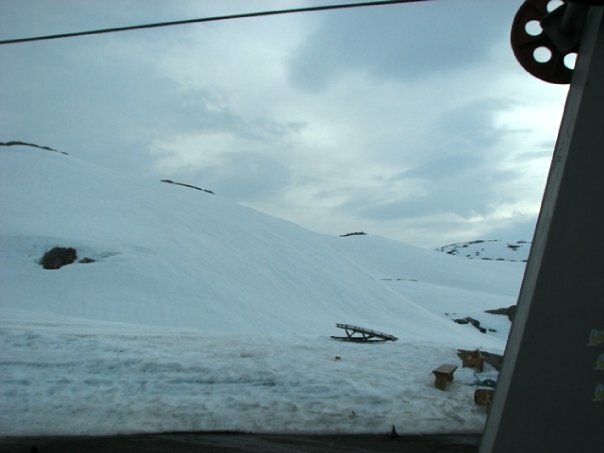 We had planned to check out the Hardanger Folk Museum but didn't make it. 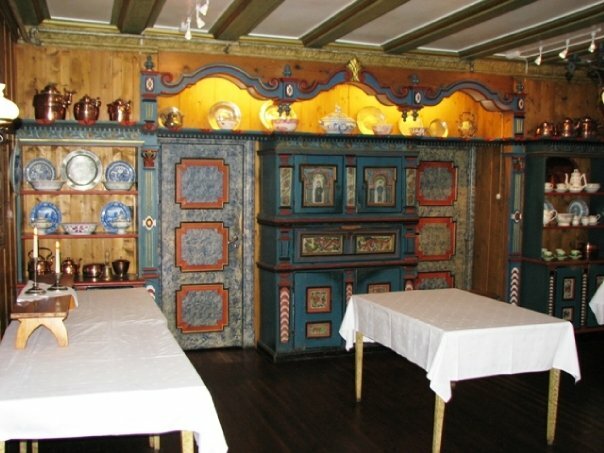 They have exhibits of old timber buildings, furnished according to their eras from several parts of Inner Hardanger. By the fjord are old boathouses and a general store that once stood on the quay side. In the admin building are local arts and crafts, national costumes and data on the fruit-growing industry. 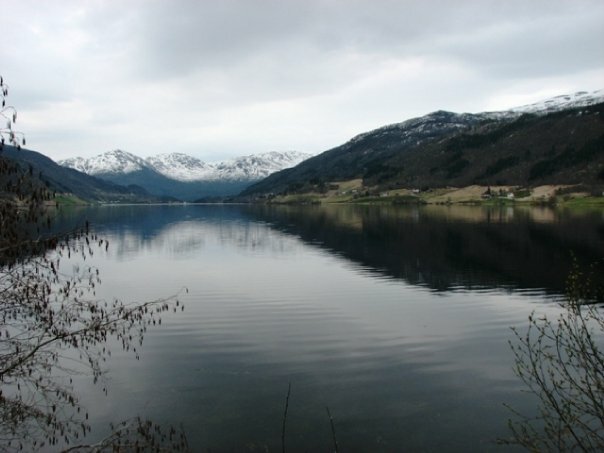 The famous Hardanger fiddle came from this area. 40NOK for adults, children free.